When I was a much younger man, sixteen or so, my father invited a friend of his to go hunting at our ranch and assured him that I’d be his guide. I was very excited about the opportunity, but a little nervous since this guy had actually gone on hunts with real guides. The first order of business was a phone call to discuss gear and methods. On the phone he nonchalantly said, “I’m going to send you a game camera. Please set it up and collect some photos of the deer that come through.” I was floored . . .
I’d only seen game cameras in magazines and on hunting shows. At the time, I remember using a Sony Mavica camera that took 3.5″ floppies for my work with my high school’s newspaper. The idea of a camera you could leave in the woods that would capture pictures day and night and that didn’t use disks the size of my wallet sounded too good to be true. To this day I’ve wanted a game camera, but I always figured I’d need to drop several hundred dollars to get one. 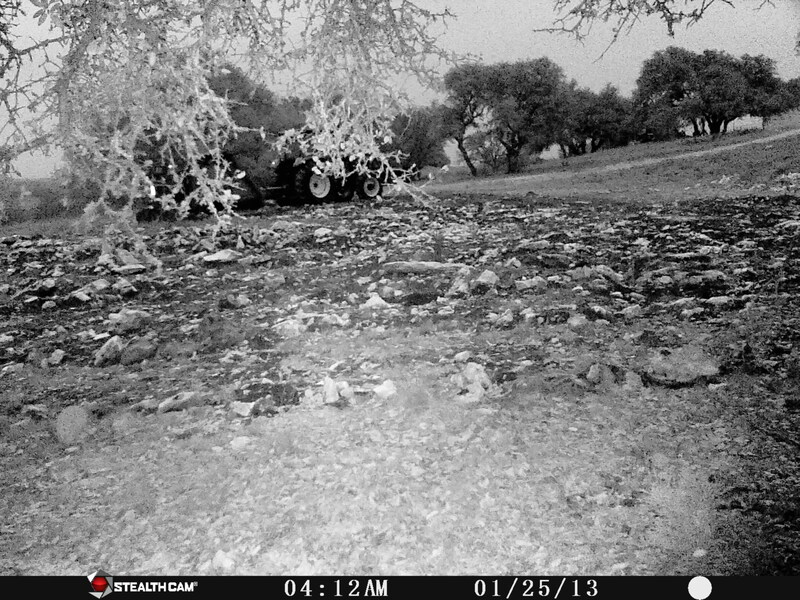 Stealth Cam’s P12 showed me just how far the technology has come and how affordable game cameras are in this day and age. 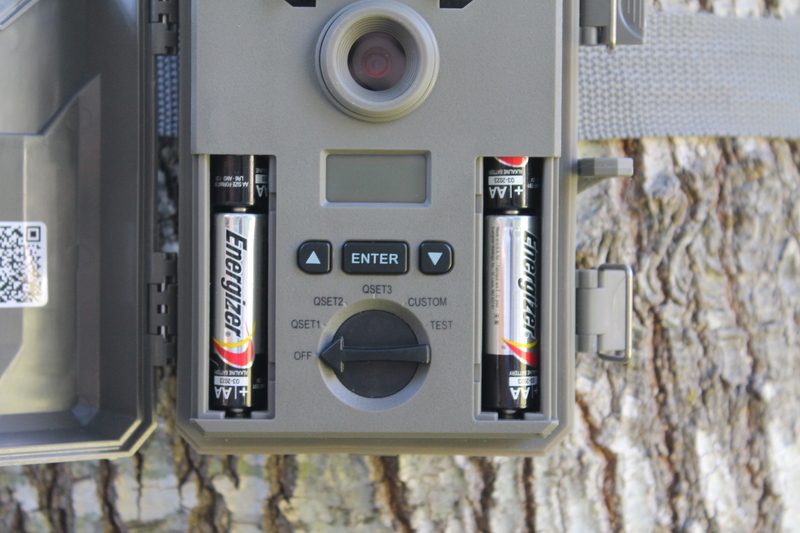 The P12 is a very compact, programmable game camera with several modes for still photos as well as video. It’s capable of both day and night shooting and comes with a strap to attach it to trees, fenceposts and the like. It also includes a tripod mount in the base for further mounting flexibility. The case body is water resistant and in my testing, I was unable to get the guts wet. Best of all though, the P12 runs on eight common AA batteries. The P12 is the least expensive in a class of fairly affordable scouting cameras Stealth Cam offers. At $89.99, it represents a real deal in terms of capabilities as it provides clear nighttime shooting, burst shooting modes, and video. But before we get into the actual review, I want to preface this with a note about the pictures you’re about to see. You’ll notice that very few of them are from the great wild while most of them are from my backyard. That’s not a trick I’m trying to play on you, dear reader. I just haven’t gotten out to my ranch for more than a day trip since early April. As such, I was only able to capture a few photos of neighborhood cats and my in-laws’ dog. Programming the P12 is a breeze. The manual is available here if you’re interested in reading along. Though it isn’t necessary for function, setting the date and time is is helpful for scouting purposes as each photo is tagged with the date and time the photo was taken. Once that is set, mount it to a tree and set the dial to “TEST” and close the hatch. Walk back and forth and the camera will light up to show you where the motion sensor can detect your movement. This in excellent feature for field use as this will likely be a “set it and forget it” type installation. Two weeks of no photos or blurry photos of the same stump are not ideal outcomes so this setting should be helpful in the initial setup. Last, select one of the four shooting modes listed below. CUSTOM – user defined for resolution, delay, and mode. Once you’ve had it out in the field for awhile, pop open the hatch, slip out the memory card and either download them to your laptop in the field or swap out a new card (not supplied) of up to 32 GB in size, and look at your photos at home later with your feet up. There’s also an included USB port which can be used for downloads in the field assuming you have the proper cable (not supplied). There’s no way to view the photos on the unit itself, but usually your walk up to the camera will trigger it, and it will show the total number of photos on the digital display which should give you a good idea of the amount of traffic the camera has picked up. There’s also a provision in the menu to clear the memory card from the P12 instead of having to use a computer. As you can see, the P12 takes very crisp daytime photos. Above, you’ll see my in-laws’ dog as he searched around my yard for a suitable place to do his business. Once I realized that movement along the pathway would be enough to set off the camera reliably, I decided to do an experiment to see if I could get some local raccoons, possums, or squirrels to show up on camera. 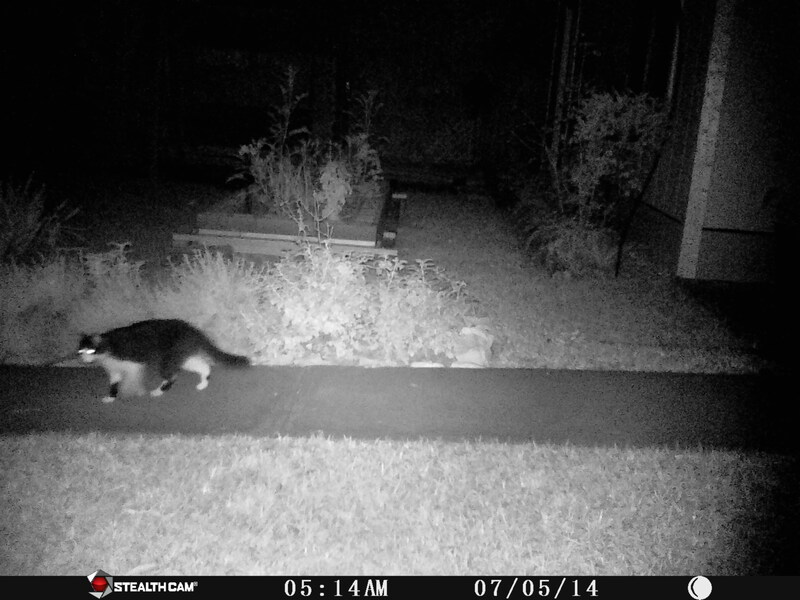 I set out a can of wet cat food and waited a few days to see what would happen. A few days later, I noticed that the can had been completely emptied of its contents. With much anticipation, I downloaded the photos from the memory card only to find that I had plenty of pictures of the can sitting there, a few of it moved, and nothing showing what happened in between. I was very disappointed to see that the P12 was unable to catch some local small animals. Unfortunately, wet cat food isn’t cheap, and try as I might RF won’t approve cat food as a qualified expense so I only tried this experiment once. 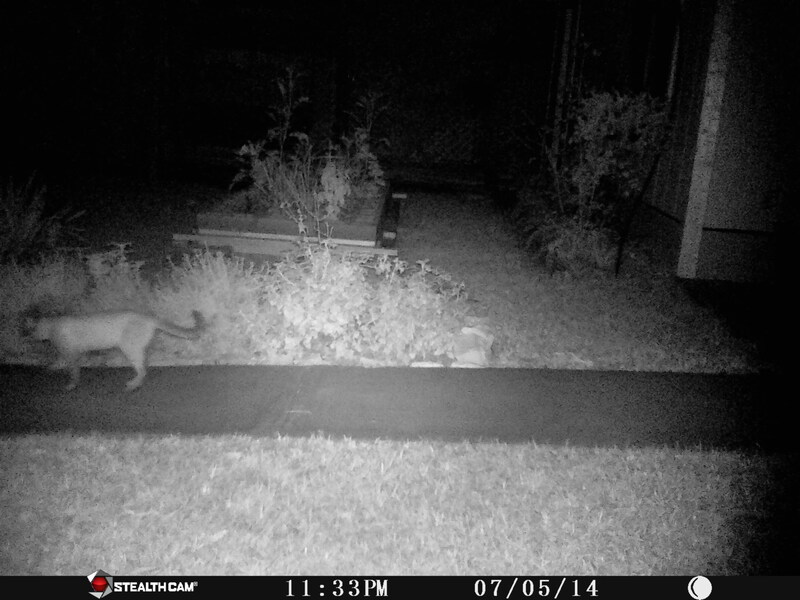 I did, however, get some more insight on this problem (non-captured photos, not RF’s cat food expense reimbursement policy) when I finally captured a local Siamese on camera. He’s a decent-sized male that I’ve seen cruising by while I take my morning shower. With the P12 set on 3-shot burst, I managed to capture him on camera at the beginning of July. As you can see, he was heading from right to left at a leisurely pace, but the camera didn’t register and trigger until he was nearly out of frame. I noticed time after time that the P12 rarely captured a photo of the subject directly in front of it, with most showing up nearly outside of the frame leading me to believe there’s a significant delay between detecting the motion and a photo actually being taken. For those using this camera over bait, I don’t think this will be a problem as your game will likely stay around for awhile giving the camera more chances to take photos of your intended quarry. However, if your plan is to put this on a popular game trail without bait to get the animals to slow down, you might be taking your chances. Likely, you’re going to see a lot of asses instead of antlers. On the one occasion I was able to use the camera out at my ranch, I was pleased to see that I had some overnight success capturing three does eating from some corn I’d thrown out on the ground. Legs and tails are a tad blurry, but this would give a decent enough view for scouting antlers, snout lengths, and body size. I was particularly pleased to see the distance that the camera could view on a night with a full moon. Below is a photo from the same night as the one above. I’m not sure what triggered the camera here, but that tractor is about 40 yards away and those distant trees on the right are at least 100+ yards. But what about video? The P12 captures 10-second VGA format video which is of adequate time and quality to see an animal move around a bit. Stealth Cam claims audio pickup as well, but I sure wasn’t able to get any on the video I took. See below for one of the better videos I captured of myself. As you can see, trigger time seems to be an issue here as the P12 didn’t start filming until I was a few feet from being out-of-frame. Again, if you’re looking for photos or videos of animals under a feeder, this shouldn’t be a major problem, but those looking to pick up footage from a busy game trail are likely going to miss out on a lot of action. Price: MSRP $89.99 but available from Amazon for $63.68 and $69.99 from Midway. I didn’t try chucking the P12 off a mountain or anything, but it held up to many a night outdoors, lots of rain, and an intentional spray with the garden hose on a few occasions. The case seems to do a good job of sealing out the elements and the controls are rugged enough to stand up to ham fisted operators like me. The P12 seems to have a pretty significant delay between motion and activation. This certainly creates some lost opportunities on fast moving creatures and a lot of pictures of backsides. More expensive models of cameras usually do a much better job of addressing this problem, but at this price point, you take what you can get. The P12 does an admirable job of capturing images at night, especially for a camera in this class. It has a powerful IR flash, but does a great job of balancing things so night-time photos aren’t just white blobs. I was very impressed with the range using the IR flash and a full moon. While not HD by any means, all of the daytime shots I collected were extremely crisp, and had enough resolution to zoom in deeply to pick up extra details. This camera produces a pretty decent number of false positives. Whether it’s the sun rising, something the manual cautions you about, or the leaves blowing across the ground, you’re going to get a photo. This isn’t a major issue, especially with a larger memory card where you can afford to collect and delete false positives, but it does make looking through photos a laborious exercise. I was unable to get the P12 to burn up a set of AA batteries in the months of use I subjected it to. I’d venture to say that I had it out for nearly 3 weeks straight during the course of this test including a few days filming video and never managed to kill it. Due to the delayed reaction time, I can’t give the P12 a full five star rating. And if it cost ~$150 or more, I’d definitely knock it down to 3 stars on that alone. But given how inexpensive this camera is, and its quality in both manufacture, and image, I think you’d be hard pressed to find a better deal. The P12 was easy to set up, performed flawlessly except for the trigger latency, and showed off some top tier features for not a lot of scratch. Given how much money you’ll spend in gear, guns, ammo, and bait (if legal in your state), it seems foolish not to have a camera up during the preseason and beyond to see what animals are out there, when they come out, and what seems to get them to come back repeatedly. The P12 is a real winner in my book. So that’s what those “game cameras” are for. It’s silly I know, but I would expect to find such an instrument behind a small peephole in the wall of a ladies locker room rather than hanging from a tree. Where do you think they got the idea? Just guessing on my part, but did you experiment with the settings to see if that affected the triggering of photos? How about tilting the camera to more center the target in frame? I say this because it seems odd that the camera would have such a delay between trigger and actually taking the photo. The Moultrie A5 is the best bang for buck trail camera I have found. You can regularly find it in the $50 range. Good review I actually plan to get one of these soon. This is helpful information. I’ve been thinking about getting one, and the array of choices now is confusing. One does not set them at right angles to known trails,but more of a facing or looking down them. Trigger speed on the cheaper ones can be a factor at right angles . I bought an HCO SG560C Full Color Scouting Camera earlier this year and I have been extremely impressed. It sounds like the SG560C functions much better than the game camera you bought, but it’s also more expensive. Thanks, I see TTAG is getting around to the hunting content they promised us after the survey :). I’ve been looking at upgrading my trail cams as mine are several years old. My biggest gripe is probably 90% landscape photos due to slow trigger time. Even when oriented parallel with active game trails. Do you know if the camera uses the LEDs as a flash (like an Iphone)? if so the circuit might need some charge time and this is why it is late on the night shots. I own one of these and set it up a few months ago on my 80 Acers up here in Alaska. I use the video setting as I thought a 10 second video would do better than a 3 picture burst. It works out standing. I have dozens of videos of moose, both cow and bull. I did catch the wind a lot too, but no more than moose. I give them a 5star and plan on buying another tomorrow. O my bad, I dint knew before that these trail cameras are used for these purposes. I love my P12. I have a Moultrie A5 too, which is comparable in price (although a bit cheaper yet), but its MUCH larger in size compared to the P12, and runs on C cell batteries. 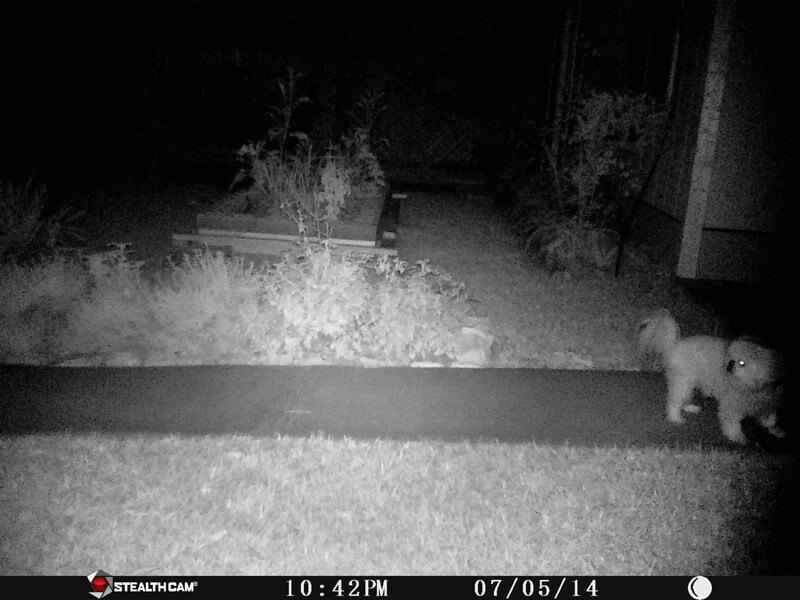 Those two factors make it easy for me to recommend the P12 trail camera over the A5. Jeff I have 6 of the stealth cam p12s. I keep them out all year long to track the progress of my deer. I love them. I spent so much money on Bushnells and theyre so complicated to work. I have had these 6 in the woods since the winter of 2013. Not a single problem with any of the 6. I do find when on video mode the batteries die about twice as fast but i dont video anymore. I will buy these all day before buying another $300.00 bushnell. Great article. 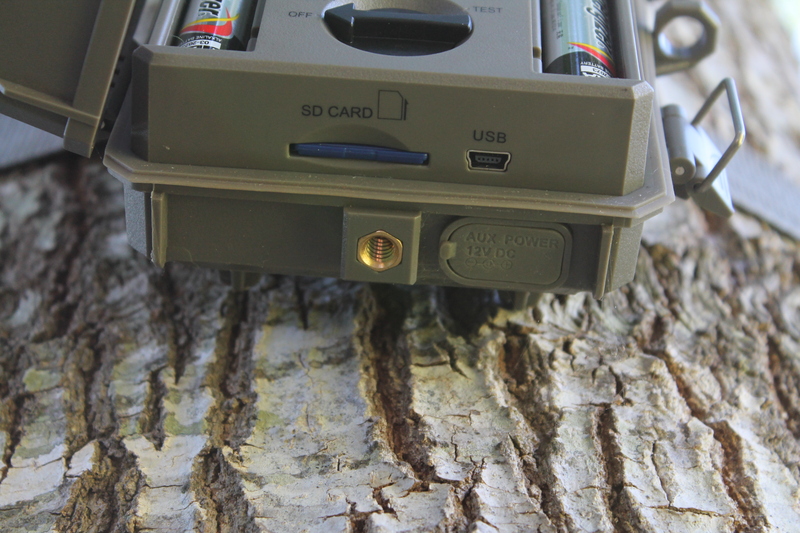 Do these cellular trail cameras also record the video and broadcast at the same time? : http://www.shoppingblox.com/trailcameras. Do they send out a message when the battery is low? Great review. Does it has wifi feature? I’m looking for a trail camera to secure my vegetable garden. I think it’s better if it can send photos direct to my smartphone. Human odor spooks deer. Shower with a scent-free soap before every hunting trip, and try not to contaminate your hunting clothes on the way to the field. Keep them sealed in a plastic container or bag with leaves, dirt and other ground debris from around your stand until you arrive at your hunting location. Doing so will allow your hunting clothing to take on the naturally occurring scents that permeate your hunting location. A good solid honest review, I liked the humor in it as well (Build Quality) “I didn’t chuck it off a mountain or anything” – made me chuckle. It sounds good! I’m about to get a camera in my garden, but too many kinds of cameras make me confused. I think Stealth Cam P12 is the correct choice. The photos are great. Great article. Thank you so much for your information. Stealth Cam P12 is surely a good choice. But there are still lots of other device with similar traits and prices. Could you give some additional information comparing Stealth Cam P12 to other device? Thanks for your awesome guide article. i thing, Stealth Cam P12 is really a good choice for me. can tell me please? when you will publish next article? These comments must be paid for by GSM. This is a piece of junk and everyone who buys it regrets their decision.